Selkirk wiggled by Inchelium with a strong fourth quarter that propelled them to a 53-26 victory. The Rangers (10-7, 9-3) took the slimmest of leads over the Hornets (10-6, 7-4) into the fourth quarter, leading Inchelium 32-31 after three. A 21-15 fourth quarter helped Selkirk breathe easier en route to the win. Jenna Couch had 17 points for Selkirk, and Whitney Dawson added in 17 points of her own in the win. Inchelium was led by Rylee Desautel with 16 points. Selkirk will head off to Odessa for a Jan. 25 game at 6 p.m.
Lakeside made a big third quarter run to put the game away against Riverside Tuesday night and getting a 64-46 win. The Eagles (6-11, 4-5) took a 7 point lead into the half and came out blazing in the third, as they outscored the Rams (4-13, 0-9) 23-9 to cement the victory. Kendra Gay led all scoring, putting up 18 points to lead Lakeside. Riverside got 14 points each from Brittney Nortz and Ava West. 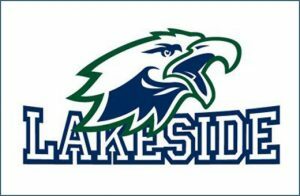 Lakeside takes on Freeman in a rivalry game at Eastern Washington University’s Reece Court Jan. 26 at 6 p.m.
Colville took on league leading Freeman in a road game Tuesday night, falling to the Scotties 68-37. Freeman (13-4, 8-1) built a lead of 17 points after the first quarter and increased that lead to 22 over Colville (9-9, 5-5) at halftime. The Scotties continued to outpace the Indians the rest of the way on their way to the win. Colville was led by Kassi Brooks and McKenna Reggear, who had 10 points apiece. Ashley Boswell scored 16 points to lead Freeman. Colville will travel to take on Riverside Jan. 25 at 5:30 p.m.